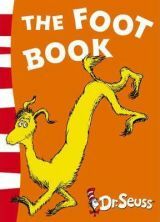 This page contains reviews of the best general parenting and family books I've found over the past nineteen years. These are books that look at how a couple creates and manages their family. If you're anything like me, this might not be something you've thought much about. You might also think the idea of planning and managing your family is a bit weird. I mean, this is a family, not a business, right? But when you think about it, most things in life work better if we have a vision in our heads of what we're trying to achieve and families are the same. Life is so busy these days that it can be surprisingly easy to lose sight of what we're aiming for. This is where general parenting and family books can help. You might not like every idea in the general parenting and family books on this list and some of the stuff may seem very obvious. But there are also loads of ideas guaranteed to get you thinking. Ideally, read these books when your children are small. Although some of the issues may not seem relevant to you yet, reading them will start you thinking about the type of home you'd like to create for your family and the way you'd like to bring up your children. You can buy most of these books online - with free postage! - from the Book Depository. 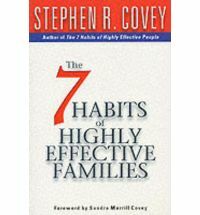 If you've read Stephen Covey's 'The 7 Habits of Highly Effective People' you'll be familiar with the ideas in this book. Some of them - like developing a family mission statement - may seem a bit corporate or, on the other hand, a bit cute, especially to Australians. But it actually seems like quite a sensible idea. 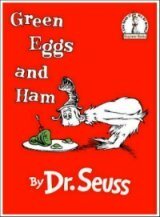 This book is the one which gave me the idea of creating a list of general parenting and family books. It basically focuses on the goal of creating a happy, peaceful home where everyone feels valued and problems are solved in a respectful way. What a great goal to aim for! One of the good things about this book is that it's highly practical. There are lots of strategies and examples that you can follow in your own family, especially with regard to solving problems using the win-win philosophy. I found this a very confronting book because it made me aware - painfully aware - of some of the expectations I had of my children. These were totally unconscious, a product of experiences I had had well before they were even thought of. 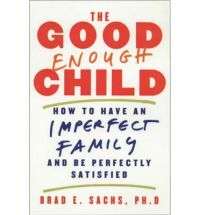 Sachs is a psychologist who believes that a lot of the issues we experience as we raise our children have to do with inappropriate or unrealistic expectations of them. This book explores this idea and looks at strategies to help parents understand their expectations and relax them so that they can enjoy a more loving, supportive relationship with their children. There are also chapters on divorce, changing and marriage. This is a very interesting book, probably best suited to parents of school-aged children, although it would be helpful for parents of younger children too. 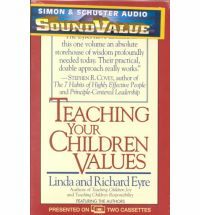 This book is not strictly-speaking a parenting book but I've found it incredibly valuable over the past 15 years and I think it's a good book to include here. If you're not familiar with the term 'emotional intelligence', it basically refers to the role played by our emotions in the way we think and make decisions. The term was, as far as I know, first coined by Daniel Goleman in this book when it first appeared in 1995, although there's now quite a lot of good information on the web about nurturing children's emotional intelligence. In a nutshell, Goleman believes that things like self-awareness, persistence, impulse control and empathy are far more important factors in determining success at school and work and in our social relationships than our IQs are. The book is quite detailed and long but quite fascinating to read and there are loads of practical ideas for developing these qualities in our children. All in all, this is a book that's well worth reading. The values discussed in this book include honesty, courage, respect, self-reliance and potential, self-discipline and moderation, unselfishness and sensitivity, kindness and friendliness. There are more but this gives you the general idea. The authors have nine(!!) children of their own and have developed some great strategies for helping children learn these values. Each chapter focuses on one value and includes ideas and games for teaching that quality to pre-schoolers, primary-schoolers and teenagers. Sounds a bit forced, I know, but there's actually quite alot of good stuff in this book. I found it very useful. Since I first read this book and wrote about it on this page, I've read a great deal about how children's brains develop and I no longer think this book is as helpful as I thought it was. In fact, in many ways, I think the information it contains is outdated and even a little bit dangerous. I've decided to leave it on this page because the book is still in print. I've included my thoughts about why I think the content of the book is outdated. Michael Grose is a former primary school teacher who has written a number of general parenting and family books and also speaks on parenting issues. In this book he outlines the way in which he believes birth order influences children's behaviour and personality development. For example, he explains the personality characteristics shared by many first-born children, middle children and so on, taking into account the gender(s) of the children in relation to each other. The idea is that, once you know why your child is behaving a certain way, you're in a better position to know how to respond. The book aims to help parents make sense of sibling rivalry and to offer guidance about how to match your parenting to each child, according to their birth order. 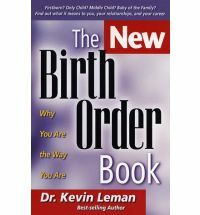 Having read the 'The New Birth Order Book' by Kevin Leman, it's pretty clear that Michael Grose has drawn heavily on some of the content of Leman's book (with appropriate acknowledgement). Why First Borns Rule the World is a shorter book and it's written from an Australian point of view, while Leman's book is American and much more detailed. 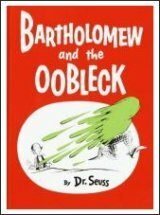 So, my concerns about this book. Research into the brain and how it develops and works has forged ahead over the last 10-15 years since MRIs became widely used. We now know what babies and children need to grow into emotionally-healthy adults and this can be summarised under the umbrella of unconditional love and emotional connection. We also now understand that the development of qualities like empathy, confidence and motivation depend on a strong foundation of emotional connection between parent and child and that creating an emotionally safe and nurturing relationship is therefore key to helping a child grow in other areas. The reason birth order seems to influence personality is because first-born children typically receive more of these two important inputs into their development. When parents understand this, they can move towards parenting in a way that ensures all their children receive what they need to grow into emotionally-healthy adults. My concern is that, after reading books which focus on birth order, parents will focus on this aspect of their child to the exclusion of everything else. 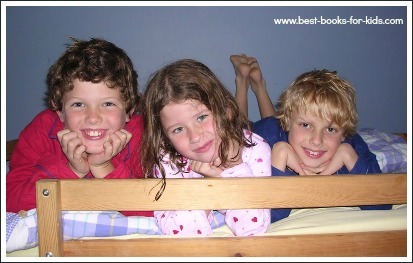 You can read my reviews of books about how to parent each of your children - regardless of birth order - in an emotionally nurturing and peaceful way on my page about the best parenting books. 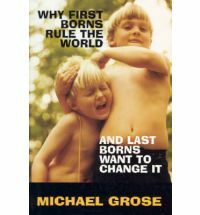 This book was published well before Michael Grose's Why First Borns Rule the World and Last Borns Want to Change It and is, for my money, a much better book. If you read both you will see that Michael Grose borrowed heavily from Leman's book so, if you want the whole story and only want to read or buy one of the two, make it this one. 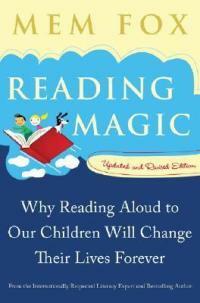 Kevin Leman is an American psychologist and a father of five children. His book outlines the way in which birth order influences children's behaviour and personality development by explaining the personality characteristics shared by many first-born children, middle children and so on, taking into account the gender(s) of the children in relation to each other. I have some concerns about using an approach to parenting that focuses on birth order. These concerns are outlined in the review I've written above this one for Why First Borns Rule the World and Last Borns Want to Change It. 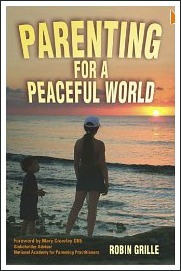 This book was recommended to me by my wonderful GP when we were talking about parenting. It was written by an Australian psychotherapist and psychologist and was first published in 2005. This book is not a parenting manual as such, although it does provide loads of thought-provoking ideas about the implications of different parenting styles. But the book goes much deeper than this, delving into the sociological and anthropological aspects of parenting through the ages. In effect, parenting practices shape the world we live in and the choices we make for our children affect not only them, their lives and our relationships with them but also the society in which we live. This is a well-researched and quite dense book which took me a while to read. That was actually a plus though because I found so much to think about as I read that I valued the opportunity to progress through it at a slower rate than I normally read in order to have time to digest it. I found the chapters about child-rearing through history and across different cultures particularly interesting and, at times, confronting. 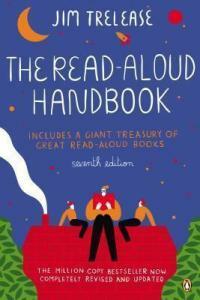 Highly recommended for parents with children of any age.